Sylar's mansion, where other pets can visit and indulge in expensive spa-like treatments such as massages, drew the media's attention to the increased spending in China on pet-related services. 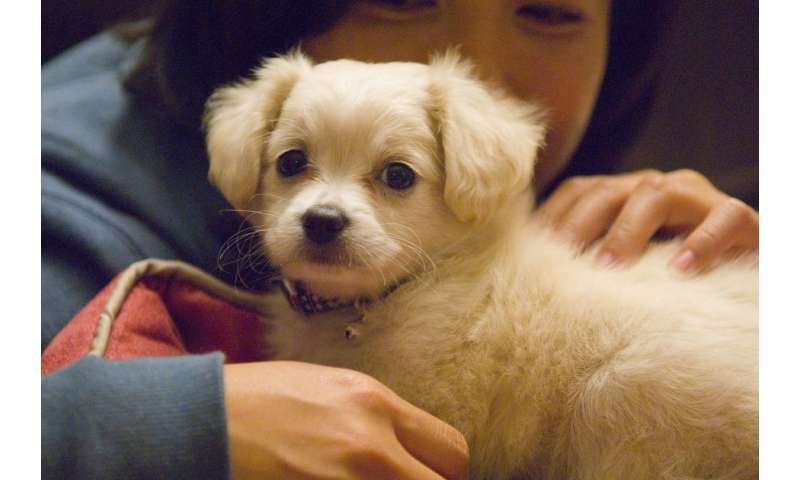 The Chinese are forecast to spend about US$2.6 billion on their pets by 2019 – a 50 percent increase from 2016. Some philosophers, such as Thomas Scanlon, argue that ethics is about what humans "owe to each other." But utilitarianism broadens the scope of the moral community to include the interests of all sentient beings, including those of nonhuman animals. As Jeremy Bentham, one of the earliest proponents of utilitarianism, wrote in 1789, "The question is not, 'Can they reason?' nor, 'Can they talk?' but 'Can they suffer?'" This was captured in Bentham's motto, "Everybody to count for one, nobody for more than one." Bentham's philosophy later gave rise to Peter Singer's principle of equal consideration of interests, which states when determining right and wrong, all those whose interests are affected should be included in the ethical decision-making process, and those interests ought to be weighed equally. In fact, Singer's equal consideration of interests can be used not only to make a case against racism and sexism, but also against "speciesism" – the idea that the interests of humans count for more than the interests of other species. The answer to this question can be found in Singer's view called "effective altruism," which is based on the premise that many affluent people spend a lot of money on nonnecessities such as pet costumes or the latest technological gadget. According to one estimate, about $440 million of pet spending in the U.S. was on Halloween pet costumes alone. If that money was instead donated to a good cause, then more good or utility could be produced. As an ethicist, pet owner and vegetarian, I don't deny that the interests of animals matter, and while Sylar is indeed one privileged pup, his lifestyle comes with costs to others and to the planet itself. Could anti-speciesism and veganism form the basis for a rational society? So, I assume the author's intent it show us simpletons that we need a super smart government official to direct our economy to achieve better outcomes for all. its the liberal way.... use examples from the 0.0001% to tell the other 99.9999% how they should live. Do pets need all those things? NO. Do people need pets? Obviously, I know one person who does, but just doesn't know it. What?? No mention of a dog having a higher CO2 "cost" than an SUV. This statement defies belief (since Singer main fame is in animal right's): "In fact, Singer's equal consideration of interests can be used not only to make a case against racism and sexism, but also against "speciesism" – the idea that the interests of humans count for more than the interests of other species." Not "but also"--Singer's equal consideration of interest started there. This is so sick. Get a life. what about the money that is wasted on make up? or in bling bling for the cars? or in weapons? of course pets are necessary.... most children are raised in chaos, in divorced homes, in environments with no or little affection, so a pet helps them to cope with life. I bet there must be studies indicating that pet owners that are engaged with their companion are less prompt to bad things like hurting others, hurting themselves, and so on. Loneliness, lack of care, isolation, all can be very high in the human civilization. Children, disabled and elderly suffer the most from humans.... so there are substances to cope, there are pets, there is exercise and so on. "Do pets need mansions or Halloween costumes?" Do humans?? pets need things, like vet physicians, like drugs, eg., cats need catnip. I wonder if cats are as harmful for little ecosystems if they are high on catnip frequently.... I wonder if their predatory tendencies is reduced by using catnip and therefore making them more friendly to the surroundings. Dogs usually need things too to calm down, some can have issues.